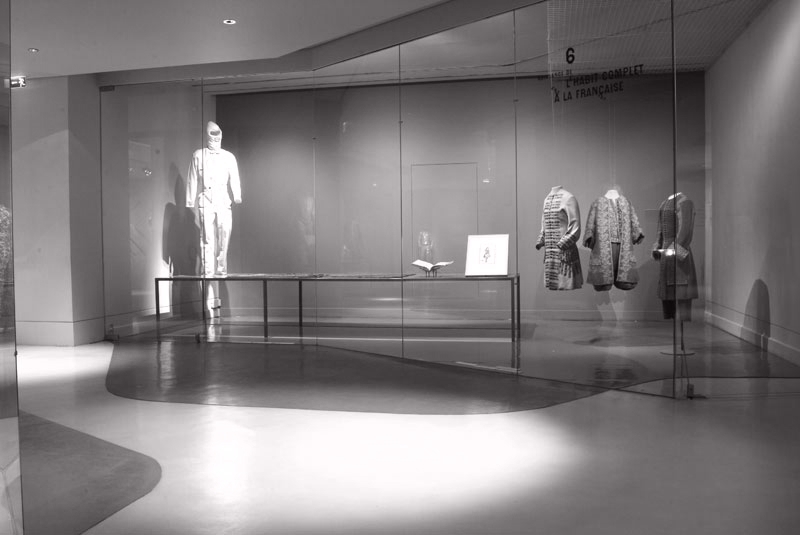 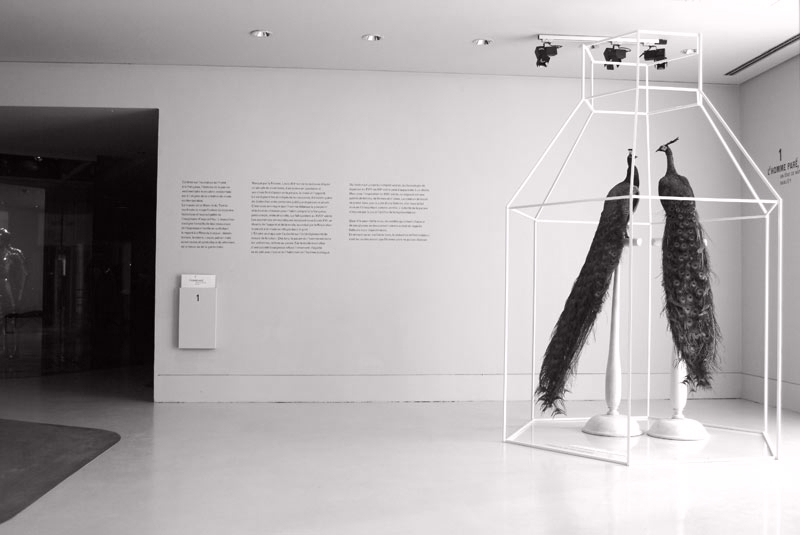 Scenography for the exhibition "L'homme Paré" at Les Arts Décoratifs, Musée de la mode et du textile. 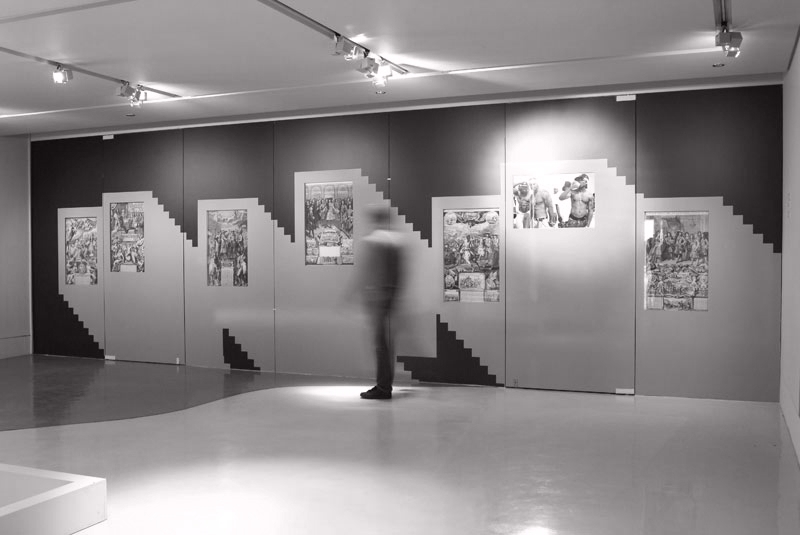 Paris 2005. 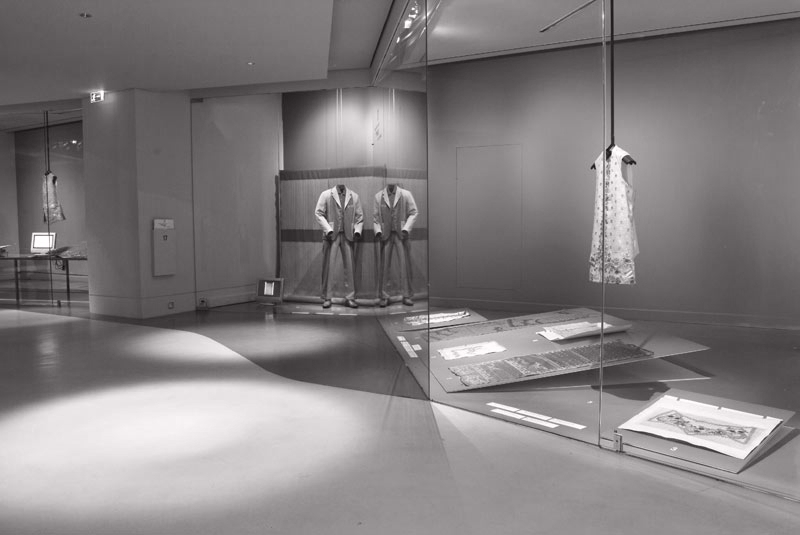 The fashion and textile Museum chose to set up for the first time an exhibition dedicated to man's adornment from the 17th century up to today. three hundred costumes, accessories, albums of samples and graphic documents gather and enlighten the variation of fashion since Louis 14th. 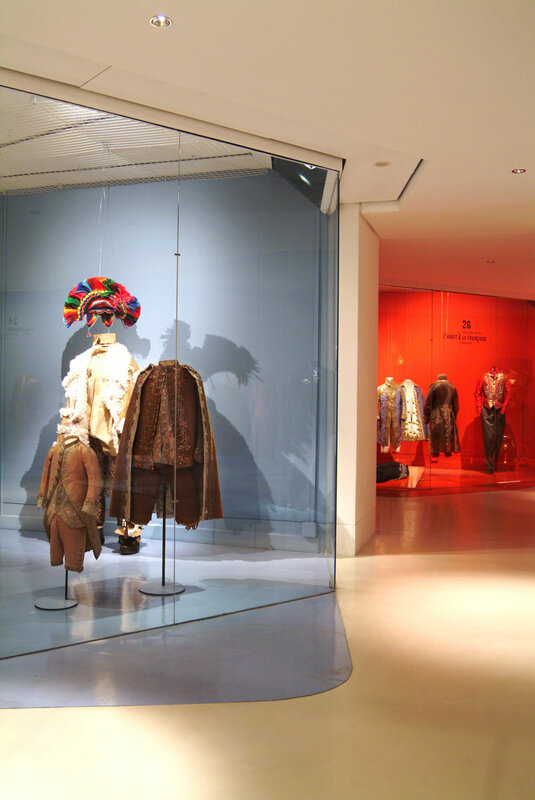 The historical confrontations of the costumes set up the scenography and organize the space of the museum. The colored parts expand, sneak under of the windows and become volumes, tables, leaning counters.